The South Waterfront neighborhood is located along the South edge of Downtown right on the gorgeous Willamette River. This area is not only Oregon’s first all green neighborhood but also the largest all green neighborhood in the country. 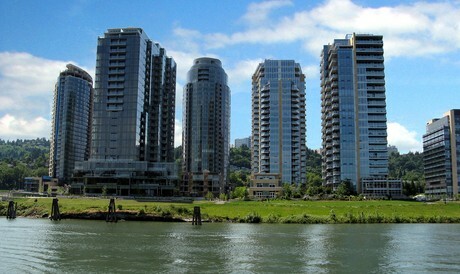 The South Waterfront is comprised of several newly constructed high rise buildings that have sweeping views of the Willamette on one side and the West Hills on the other. There are great cafes and restaurants. Transportation is made easy in the South Waterfront as the Portland Streetcar, OHSU Aerial Tram and Tri-Met bus routes are all available in this area. With beautifully green constructed buildings and being right on the edge of Downtown makes the South Waterfront one of the most popular places to live in Portland.